A beautiful young woman enters the room to a whoop of cheers. There are cameras and we’re live on air. Last year this time, Inga Mafenuka was a regular 21-year-old IT student from Khayelitsha, Cape Town. Today, she’s a mom to four healthy babies. 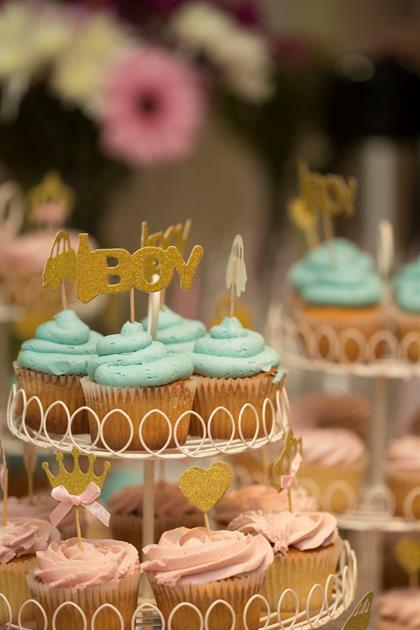 Not only are quadruplets a rare occurrence, but Inga conceived hers spontaneously, that is without fertility treatment, which only occurs in 10% of quadruplet pregnancies. She carried them to 29 weeks until the medical team at Tygerberg hospital decided to schedule a semi-elective caesar for the morning of 6 July, so they had time to quickly pull a full team together. If they didn’t do that, Inga would have had to have an emergency c-section later that day and the staff may not have been on hand. So on 6 July, Bungcwele, Buchele, Bubele and Bunono came into this world. The obstetrician who delivered the babies via c-section, Dr Celeste van Drunick, told us that everything “went very, very well, from start to finish.” The whole procedure took only 20 minutes, she said, from when the knife went in to when Inga was stitched up. 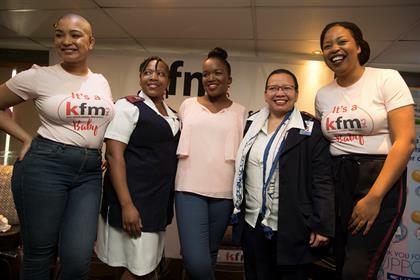 From left to right: Dr Lizel Lloyd, neonatologist; Dr Celeste van Drunick, obstetrician; new mom Inga Mafenuka; Sibongile Mafu and Sherlin Barends of the Kfm Mornings with Darren, Sherlin and Sibs; and Dr Bianca Jacobs, one of the four pediatricians. 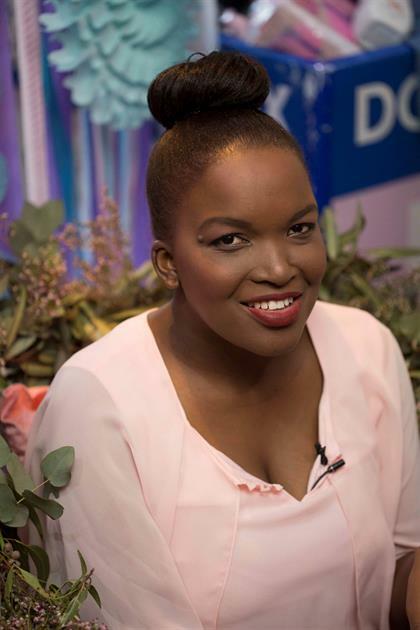 Each baby had its own paediatrician in the theatre – there had to be four of everything else too, nurse Lusanda Nduneni, chuckled. She told us how she had to ensure there were four cribs, four draggers with oxygen and four incubators down to four blankets and four beanies in the theatre. Assistant manager nurse Jennifer Sapto said Lusanda was a real star, pulling it all together. “Everything was just extra, extra, extra… extra exciting too!” Lusanda told us. “Not just on the day, but for a whole week! From left to right: Sherlin; nurse Lusanda Nduneni; Inga; assistant manager nurse Jennifer Sapto and Sibs. Dr Lizel Lloyd, the neonatologist who still looks after the four babies in the neonatal ward, said that they’re doing really well. “The girls are still on oxygen, but the boys are already on kangaroo care on mom Inga’s chest. And she’s expressing milk for all four of them,” she added. In hospital, the babies are known as A, B, C and D, but mom Inga knows exactly who’s who. Dr Lizel showed us their birth charts. Bungcwele, a girl, weighed 980g at birth but is already 1.59kg. Buchule, a boy, weighed 1010g at birth and weighs in at 1.43kg now. Bubele, the second boy, weighed only 860g at birth and now is 1.24kg. Bunono, the other girl, weighed 1020g and is 1.55kg now. When they weigh 1.8kg, they may be ready to go home, Dr Lizel said. 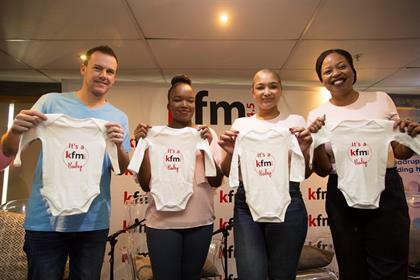 After hearing about Inga's spontaneous quadruplets on the news, Darren Simpson from Kfm 94.5’s breakfast show immediately said they needed to do something, Sherlin told Parent24. Being a father of two himself, he recognised what a huge responsibility four babies were for one mom. And when Darren, Sherlin and Sibs found out that Inga hadn’t even had a baby shower, the gears clicked in motion. They immediately decided they’d be the “honorary aunts and uncle” and offer long-term support and love to the babies. From left to right: Darren "Whackhead" Simpson; Inga; Sherlin and Sibs. The first support came from LottoStar, which will donate R10 000 per month for a year to help Inga cope financially. 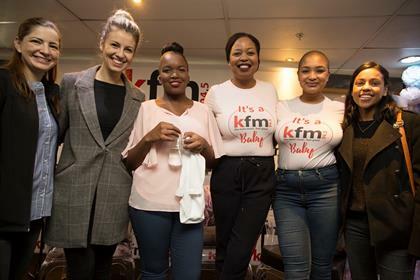 Then the team approached the Clicks Helping Hand Trust, and listeners were able to donate baby goods at four big Clicks stores around Cape Town. One donations box was standing at the baby shower, overflowing with nappies, soft toy bunnies, feeding bowls and everything Inga and her babies may need. Three boxes were still to come, and Donna Davids, the CSI coordinator at Clicks, promised to match the donations and supply baby clothes for a few years. “I have no idea where to put everything!” Inga gushed, but the Kfm 94 .5 Morning crew promised to help with the logistics. Inga’s family was also at the pretty pink-and-blue baby shower, which was broadcasted live on air, and we chatted to Inga and her mom. How was she doing? "Right now I'm nervous because I've never been without my babies for so long!" she said. Inga said it was her mom who chose their names. Mrs Luleka Mafenuka told us, “The babies are miracles, gifts from God, so I took the names from God. “We live in a shack in Khayelitsha, and it’s completely flooded at the moment, we need to wear gumboots inside the house,” the grandma said. “But I’m very excited about the babies. We were four, and now we’re eight,” she beamed. You can follow the story of Inga and the “Cape’s Quads” on @KfmZA, who will continue to celebrate their milestones.